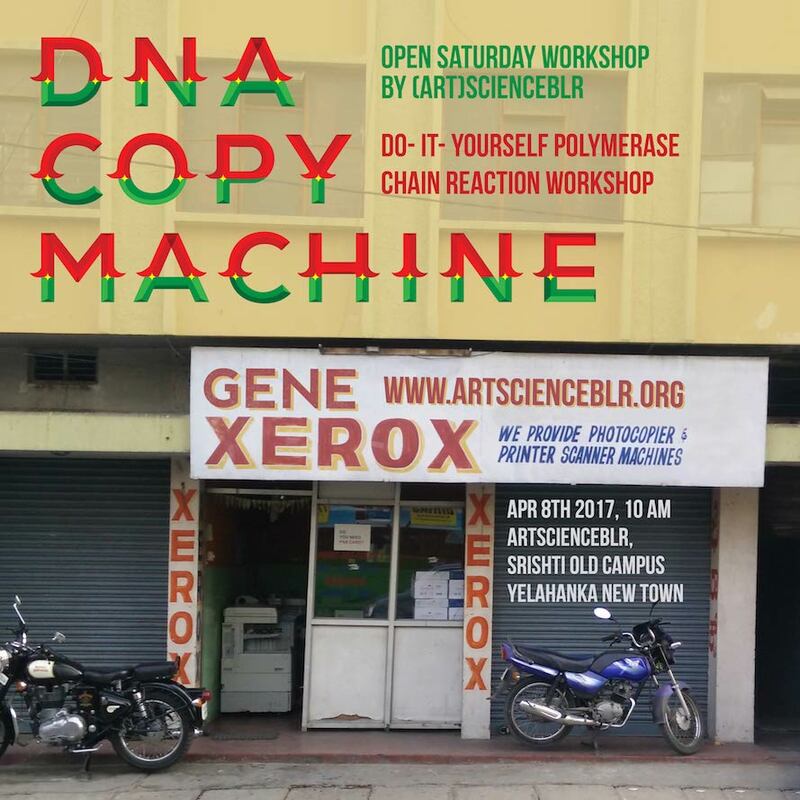 As part of the (Art)ScienceBLR Open House at the Srishti Institute of Art, Design and Technology, everyone is busy getting ready for the Open House this Saturday. 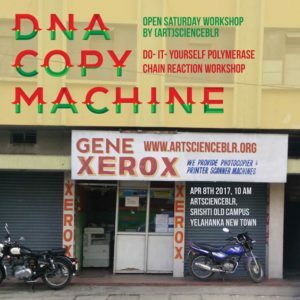 In the morning, Sachiko will run a Do-It-Yourself DNA Copy Machine (polymerase chain reaction = PCR) workshop. 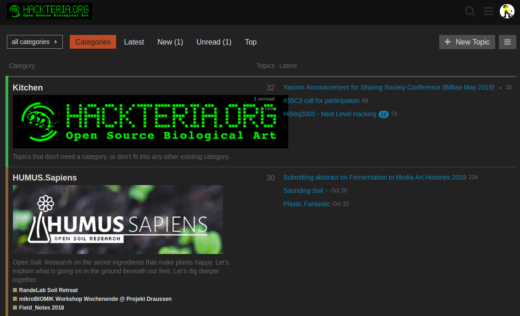 sound and home-made synths by The I.S.R.O. If you are in Bangalore, come visit (details how to get here).